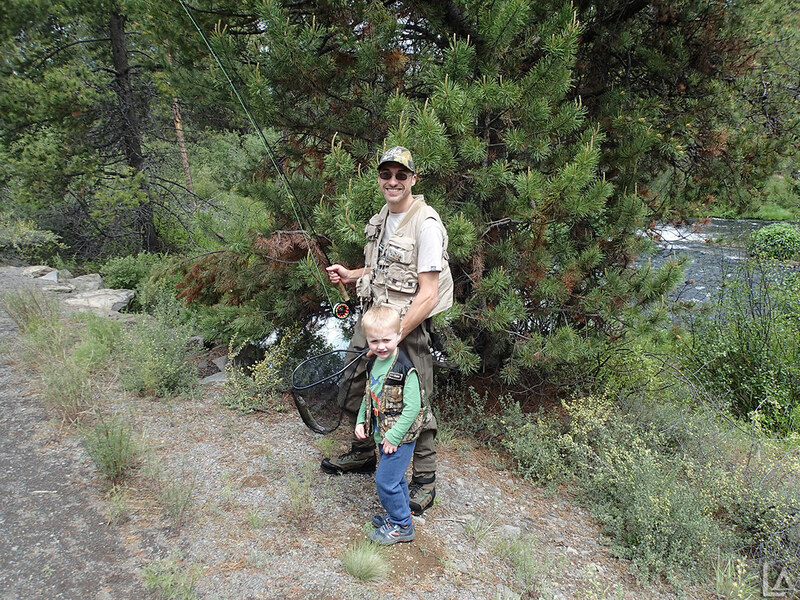 We were lucky enough to coordinate a camping trip with my cousin Ryan and his family at Juanita Lake, California. The campground is located roughly equidistant between my cousin who lives in California and us up in Oregon. Juanita Lake is about 45 minutes South of Klamath Falls, Oregon. I took Friday off (Katie is lucky and has all Friday's off) to have another long weekend to go camping. 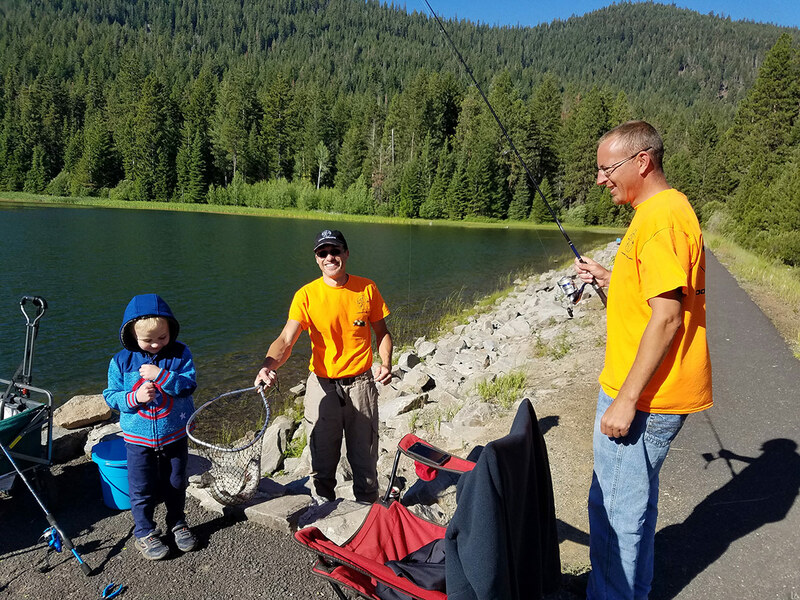 This trip we towed our travel trailer to Rock Creek Reservoir near Wamic, Oregon. My friend Tyler and his wife Holli joined us Friday night. 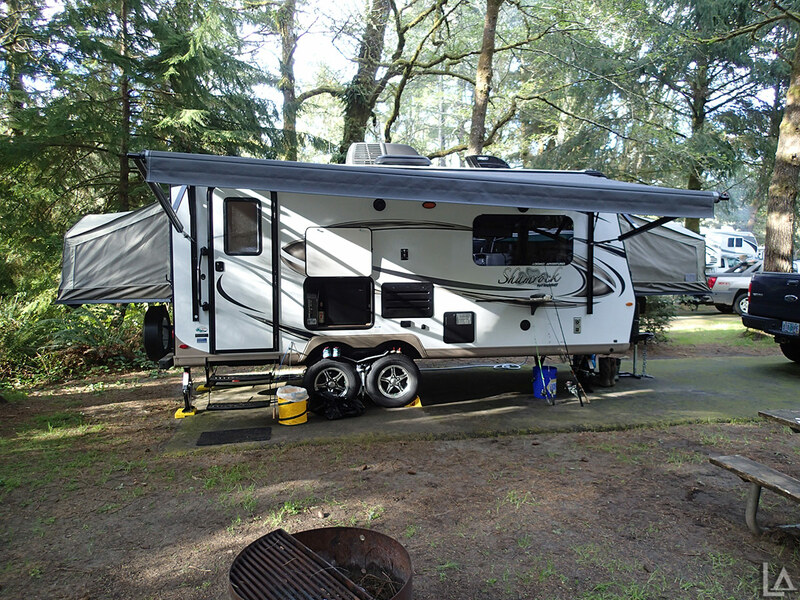 We had booked three nights at LaPine State Park for Memorial Day weekend back in December after we ordered our trailer. Finally Memorial Day is here and some good weather too. 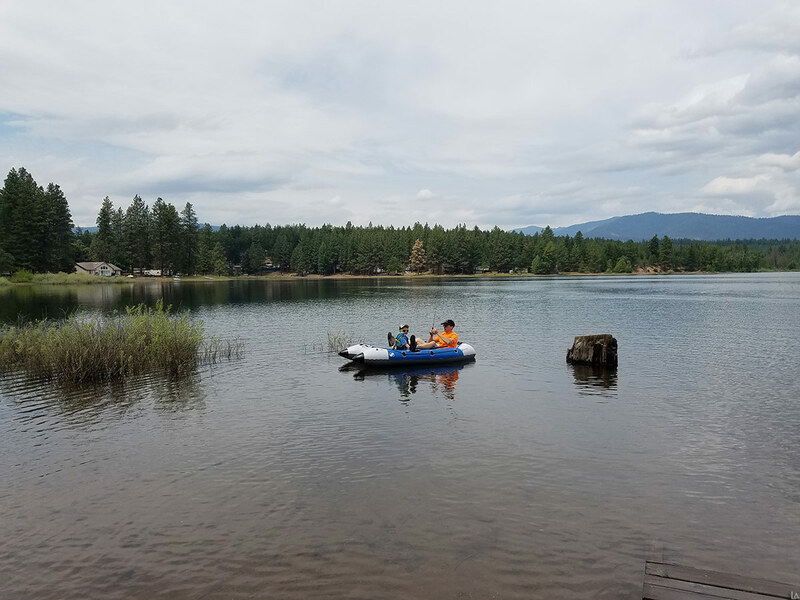 The State Park's proximity to Sunriver and the Cascade Lakes Sceneic Byway make it an ideal location to serve as a base camp for outdoor adventures. We have received some great Spring snow in the mountains this week. We even had a light dusting at our house Saturday morning. We (Kevin and I) decided to ride Mt Saint Helens on Sunday with our friend Steve we met on Adams a month or so back. Kevin and I decided to give Mt Adams a try on Sunday. I wanted to see if we could get up onto the A.G. Aiken Lava Bed on the South side of Mt Adams near the boundary of the Yakima Indian Reservation. The A.G. Aiken Lava Bed is just over one mile East of the popular South climb trailhead at Cold Springs campground. The weather was beautiful with mostly sunny skies and a temperature around 30°F. 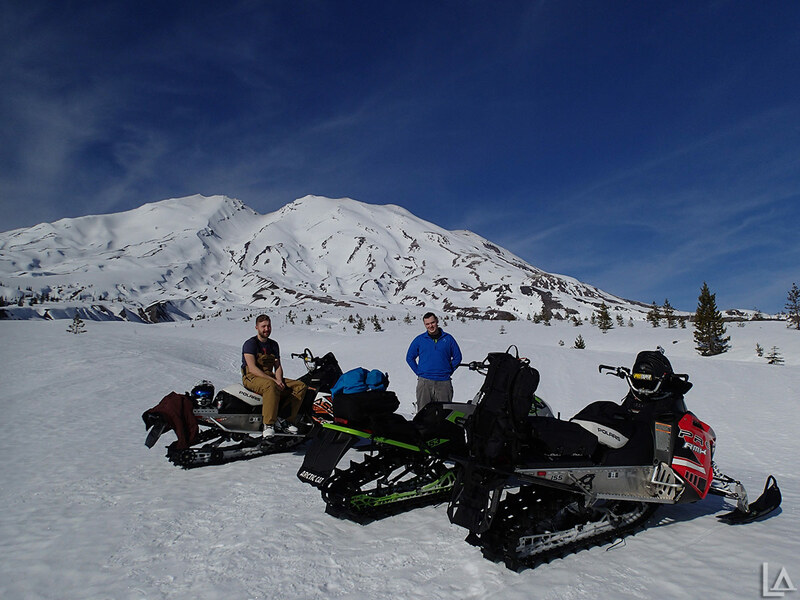 We unloaded the sleds at SnowKing Sno-Park which is about 6 miles Northeast of Trout Lake, Washington off forest road 82. 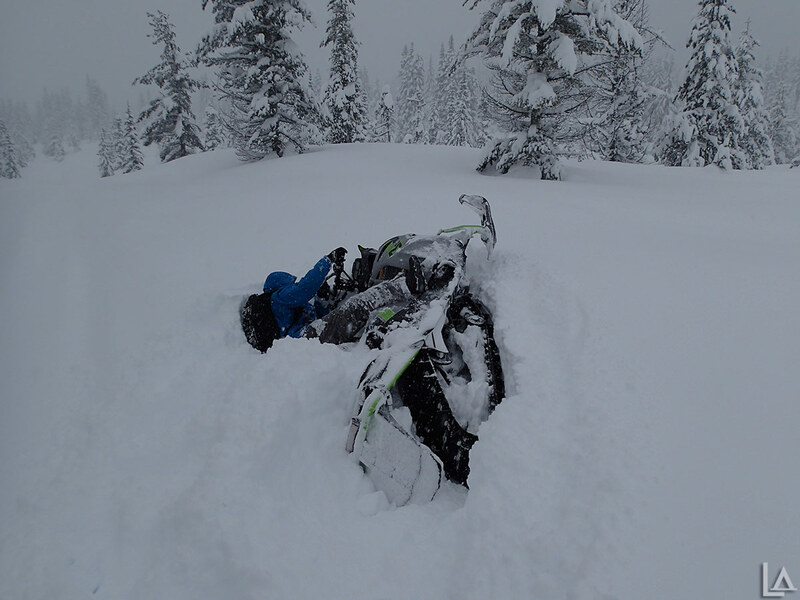 Kevin and I decided to snowmobile on around Mt Hood on Sunday. 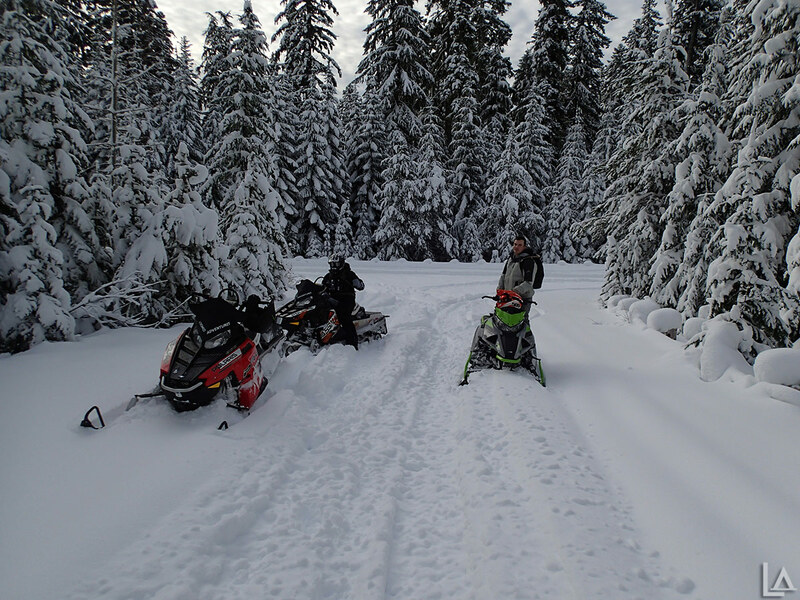 Instead of fighting the ski/snowboard traffic off hwy 26 or hwy 35, we chose to unload our snowmobiles from the Upper Clackamas side of the mountain near Shellrock Creek campground. There was already another trailer parked when we arrived, but still plenty of room for us on the side of the road. Winter has come back with a vengeance. I am ecstatic. 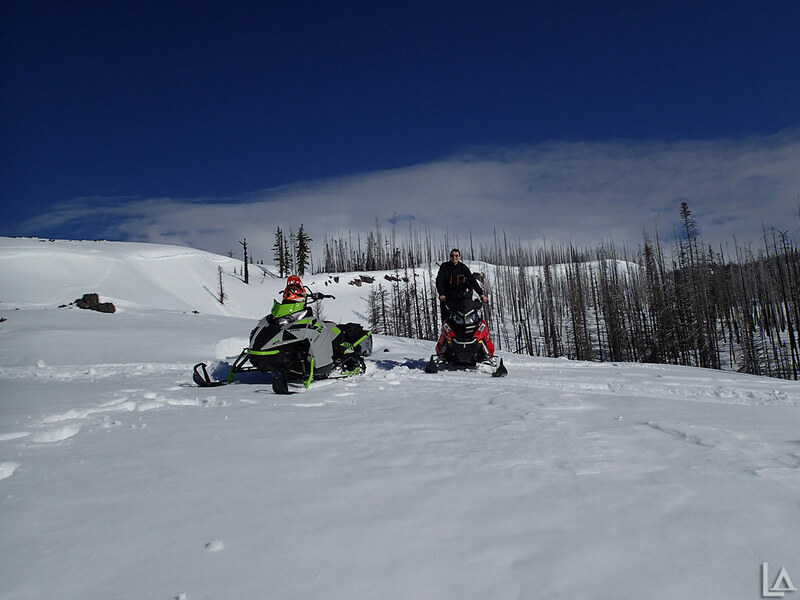 We had some great snow fall in the mountains over the weekend and my friend Kevin and I took Monday off to go snowmobiling. I awoke to a couple inches of snow at home! It hardly ever snows down this low. It was shaping up to be an awesome day. We loaded my sled onto Kevin's sled deck and headed East before crossing the Columbia River into Washington. We were headed to Lone Butte SnoPark again on the West side of Mt Adams. When we arrived there was no one else there. We haven't received any new snow in the mountains the past two weeks, but it was forecast to be sunny on Saturday. My friends Kevin, Nick, and I planed to snowmobile around Mount Saint Helens and the Plains of Abraham. Mount Saint Helens (famous for its eruption on May 18, 1980) is 50 miles NE of Portland, Oregon in Washington state . Now only 8,363 feet tall, the mountain previously stood at 9,677 feet tall. 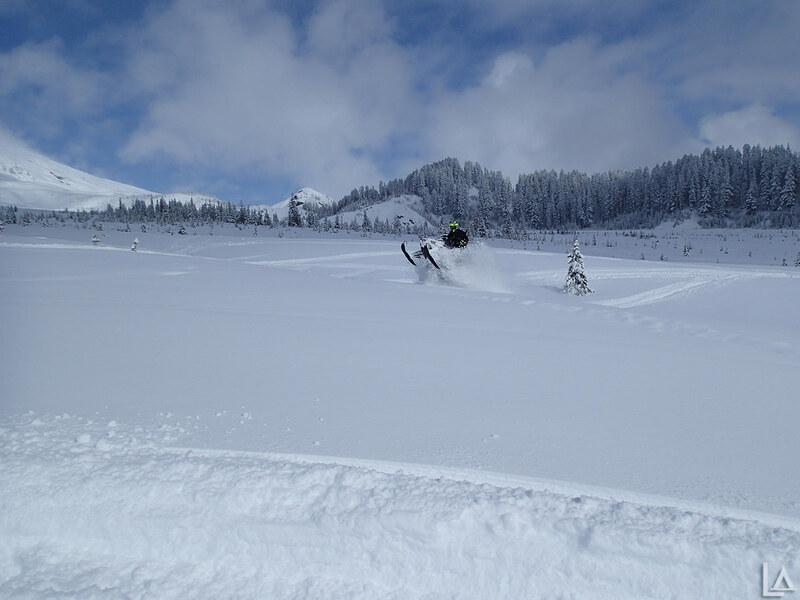 The Plains of Abraham on the East side of Mount St. Helens is a popular destination for snowmobilers. Winter continues to be disappointing with the ups and downs. One day it snows then the next it rains. 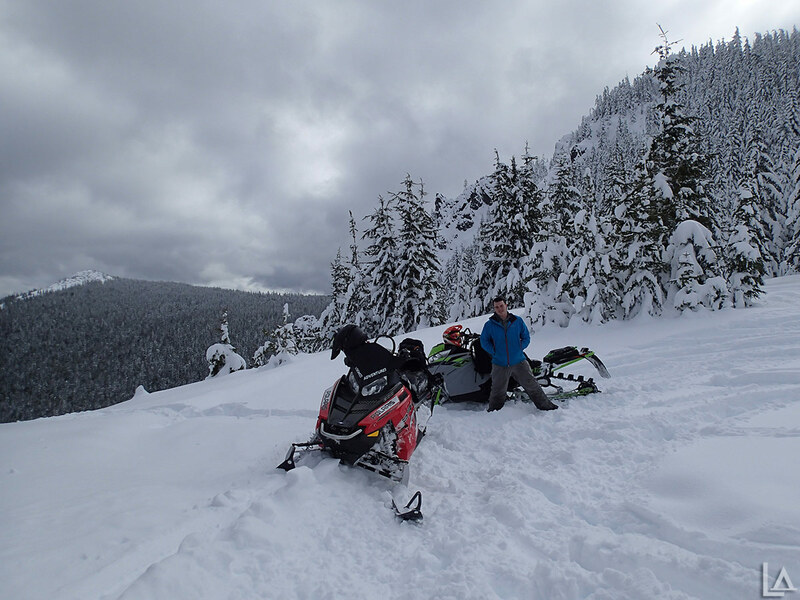 The forecast called for lowering snow levels Thursday and Friday, so Kevin and I took Friday off to go snowmobiling near Mt Adams. 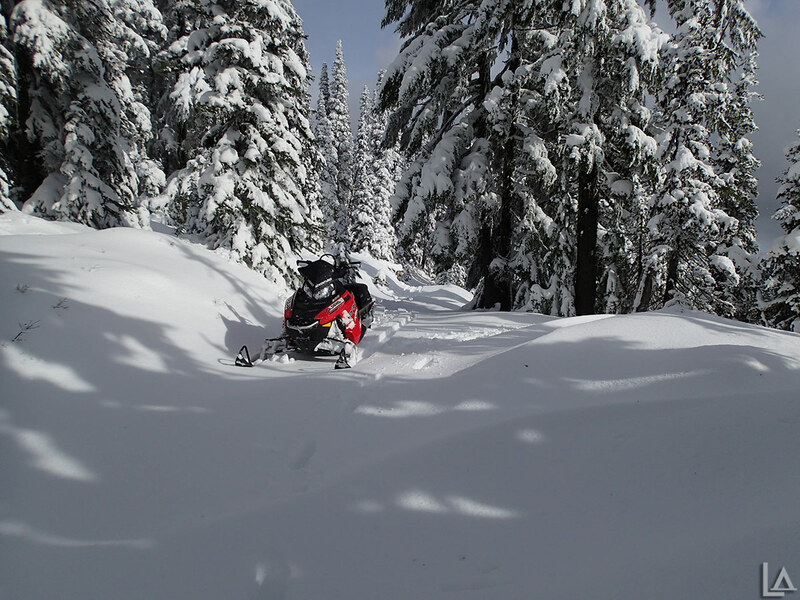 We chose one to launch from Lone Butte Sno-Park on the Western side of Indian Heaven Wilderness. It sits an elevation of 3,160 feet off Forest Road 30 at it's junction with Forest Road 32. Katie and I wanted to take Julian snow camping again this new year like we did last new year. 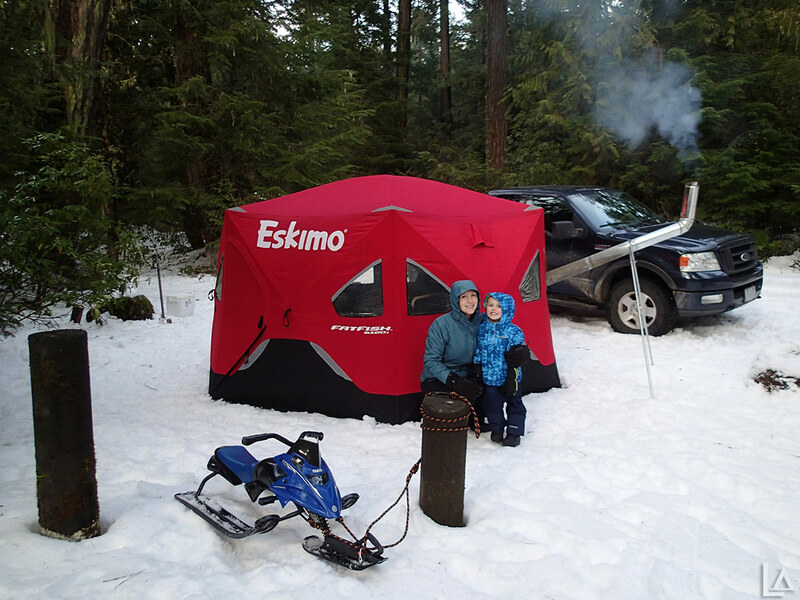 We like to start and finish the year snow camping. It has been an odd winter so far with alternating low and high snow levels, so I went out scouting for a spot Saturday. We wanted to avoid the crowds near snoparks this year. 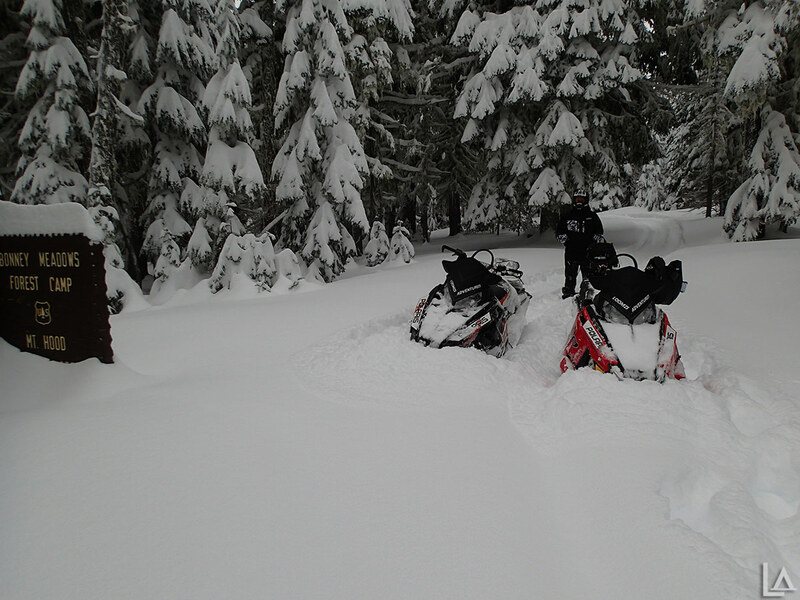 I found about 6-12 inches of snow at one of my favorite upper Clackamas River areas, Shellrock Creek campground. And I was able to drive my truck there so we wouldn't need the snowmobiles this trip. From Survival Hax, "The 6 inch Fire Starter Rod by Survival Hax is a heavy duty Ferrocerium Firesteel capable of producing a shower of hot sparks, no matter what the conditions." 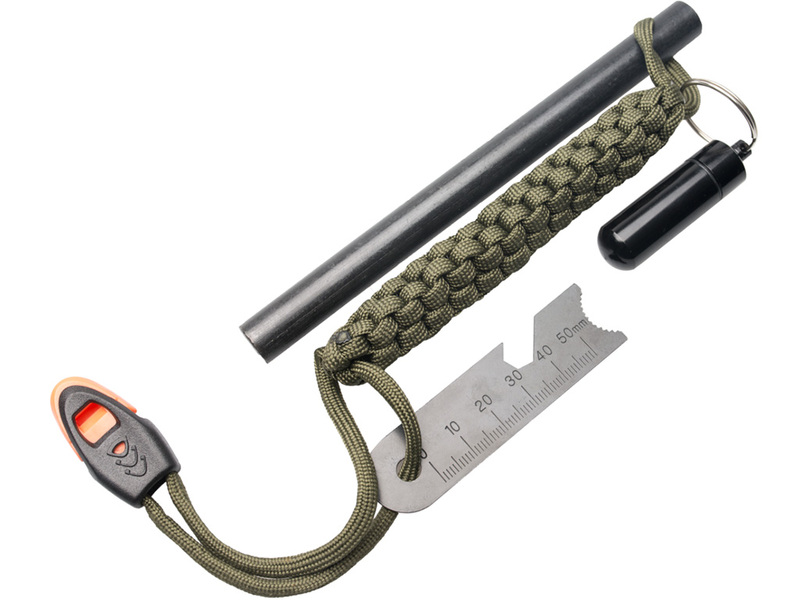 It includes a tinder holder with a piece of cotton for wet conditions along with 5 feet of paracord and a whistle. The multi-function scraper tool includes both a smooth and serrated scraper, ruler, and hex wrench/bottle opener. We had a couple good snow storms on Mt Hood this week. The latest happened overnight and came down as low as my house! I was really excited when I saw it snowing at home as I was loading the snowmobiles to leave. It was going to be a great trip with my friend John. About a foot of snow fell overnight. We went chasing the recent snowfall on Mt Hood Saturday. 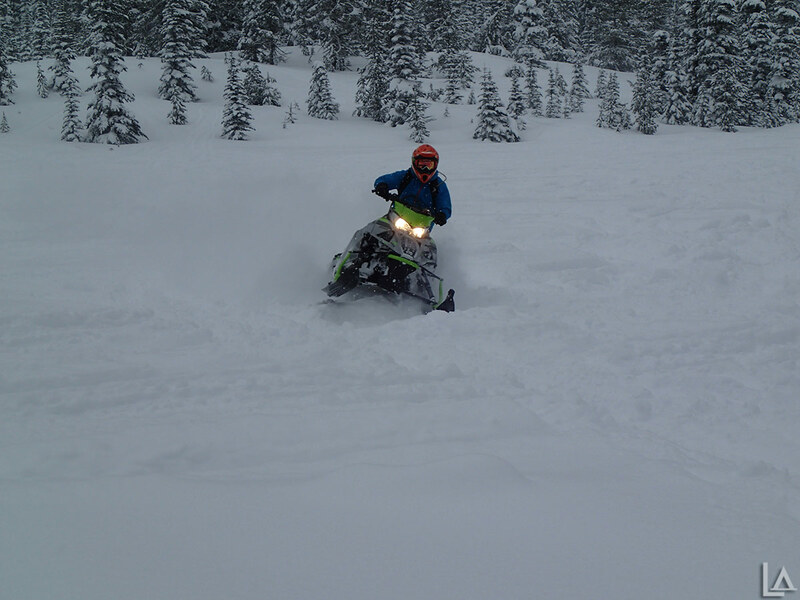 My friend Kevin recently bought a new Arctic Cat and he was eager to take it on an inaugural ride. Our plant was to launch from White River East SnoPark and hopefully ride up to Bonney Meadows. It's nice to see some early season snow this year. Hopefully it will be another good winter. I was busy with projects around the house last season, so I didn't get to enjoy the snow as much as I would have liked.